SugarKiss offers a variety of event planning services from centerpieces and favors, to custom cakes and unique dessert display options and MORE for any occasion. ​baby & bridal showers, first birthdays, and other special celebrations we can work with your budget to bring your vision to life. Our talented design specialists pride themselves in providing you with beautiful details, displays, delicious desserts, and more - all on theme, or in your preferred color scheme. 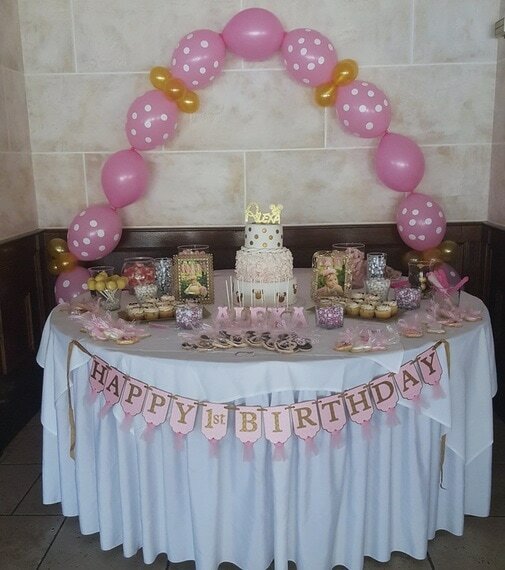 Our All-Inclusive dessert table packages include custom printing and table décor, display rentals, premium linens, backdrops, delivery, table set up, etc. - everything you need for a showstopping display at your next event! Don't forget to top it all off with a beautiful specialty cake centerpiece.